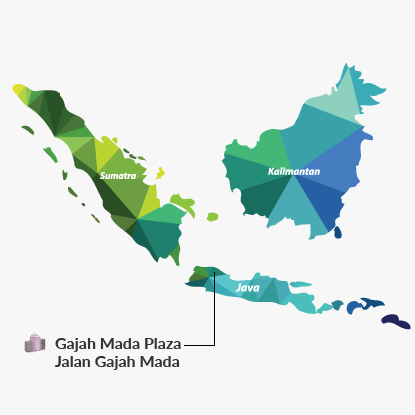 Gajah Mada Plaza is a shopping centre with seven levels, one basement level and a carpark. The mall is located prominently in the heart of Jakarta's Chinatown, an established and well-known commercial area in the city. Situated along Jalan Gajah Mada, one of the main roads in Jakarta, Gajah Mada Plaza is positioned as a one-stop shopping, dining and entertainment destination for middle to upper income families as well as professional executives and students from the offices and schools within its vicinity. 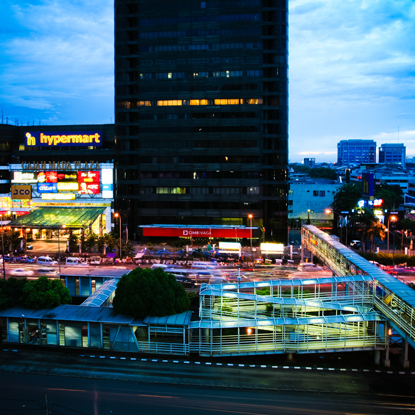 It has a diverse and complementary tenant mix anchored by Matahari Department Store and Hypermart. The mall's strong leisure entertainment component, which includes a cinema, restaurants, family karaoke outlets, video game centres, a fitness centre and a swimming pool, adds to its overall attractiveness.